When I started my gig as an industry analyst, I was comfortable with the writing and client interaction parts of the job. The last part, getting on stage and talking for 30-45 minutes, was completely foreign to me. I had to learn how to create and deliver compelling stories to international audiences, often with different expectations. Making things worse, sometimes I’m required give presentations that I didn’t create. Books on developing presentation skills and creating content often talk about the importance of practicing and rehearsing your presentations. But they rarely talk about how and what to practice. 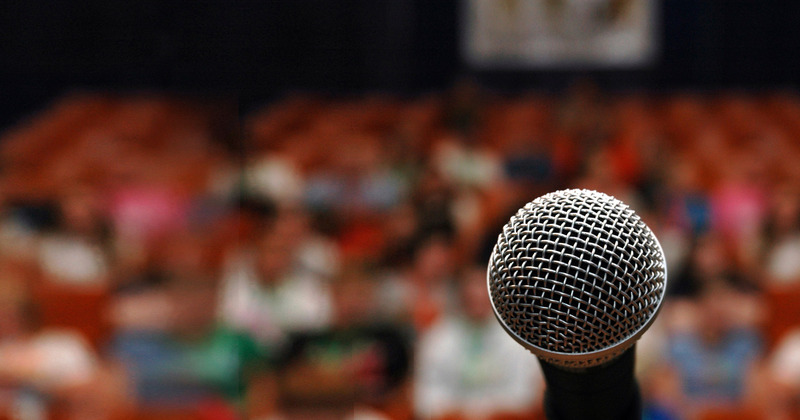 After a few years of experience presenting to diverse audiences, here’s what I’ve learned about presentation rehearsal. When I first started, I would rehearse my presentations from start to finish – or at least that was the intent. I’d start with my intro and move quickly into the first few slides. Then I’d get distracted by something, usually minor, on an early slide. Or I’d stumble over a story and keep working on it. The end result was that I didn’t spend as much, if any, time practicing the content in the middle and end. Divide your rehearsal sessions into blocks to rehearse specific content. You might have an three core topics you want to discuss in your pitch. Schedule time rehearse each section independent of the other sections. This gives you a chance to work on isolated parts and refine them, without being distracted by the whole. The opening was never much of a problem for me. I’d rehearse my opening probably 80-100 times (see above about rehearsing in sections). Then I’d bleed out during the close. Put additional emphasis on your opening and closing sections and schedule that rehearsal time separately. Another trap I fell into was practicing just the talk track for the slide content, not how I would get to the next element or slide. How you arrive at a slide, whether it’s a data-centric transition or story-led transition, practice the transitions from one slide to another. Once I started rehearsing transitions, my delivery was much more fluid and my scores went up. My on-stage anxiety also dropped. You must rehearse your content while standing since that’s how you’ll deliver it – out loud and walking around a stage. You can’t just walk through the content in your head. That doesn’t create the necessary muscle memory for a successful delivery. You can also rehearse in front of people, but that’s often not an option for me. This last tip will seem counterintuitive, but rehearsing my content out loud while seated allows me to focus on just the content. When I rehearse while seated, I focus on keeping my hands and body still and solely on delivering the content. For me, this translates into less random movement on stage. Instead, movements are more planned and (hopefully) more impactful to the audience. Richard Butterfield’s Power of Persuasion – I’ve had an opportunity to work with Mr. Butterfield on my presentation style and effectiveness. If you can take one of his workshops, I highly recommend it. If you can’t, his book is one of the best I’ve read on communication and presentation skills. Confessions of a Public Speaker – Scott Berkun’s book was one of the first I read when I realized a significant portion of my job would be delivering presentations. Scott offers practical advice on both the mechanics of public speaking and storytelling. This is the second in a series of posts about how I do my day job. You can find the first post here: How I Work (Tools). At this point, I feel like I’ve tried every available productivity tool and method. I still experiment when I see something new, but I’ve finally refined my process for getting stuff done on a day-to-day basis. There are several pieces, but each is generally simple on its own. Actually, the whole process is simple. Otherwise I wouldn’t follow it. Today, my go-to for planning projects is the iOS/macOS Reminders app. It doesn’t have a lot of features, but it syncs across my devices and prompts me with annoying notifications when I’m behind on deadlines. I’ve tried things like Todoist, and spent weeks trying to get OmniFocus integrated into my workflow, but I didn’t have the patience to either adjust how I worked to meet the limitations of the software or spend weeks customizing it. Ad hoc projects also land on my plate on a regular basis. I needed something easy and fluid to adapt to that. Lastly, I’m not going to pay for complexity when simplicity is free. The Reminders app is really a staging area for everything that I have to get done, but it can be overwhelming to see everything at once. That’s when I use a simplified bullet journal. Each morning follows roughly the same pattern. I look through the list projects and see what’s languishing and add the next project-specific deliverable in the list to a notebook – with actual paper and pen. I might add 3-4 work-related things and 1-2 things around the house I need to get done (clean the litter boxes? yay!). I don’t add more because 1) I know I likely won’t get that far and 2) something else is always waiting in my inbox. While there are certainly examples of elaborate bullet journals, mine is a simple list of the day’s tasks with boxes to the left. Completed tasks get an ‘x.’ Things that I didn’t complete get an arrow indicating a carry-over to the next day. Sometimes things don’t go my way and I end up carrying things over for days at a time. This last part is the most recent addition to my productivity process. I received an Esington pomodoro timer as a gift, which forced me to learn about the Pomodoro Technique. Pomodoro is a simplified time management method in which you work for 25 minutes at a time, then take a short break. That’s it. With the 25-minute timer in front of me, it’s easier to avoid distractions and focus on the task at hand. Add some noise canceling headphones, and I’m set. It’s not overly digital. Notifications flashing on my phone and other screens don’t create a sense of urgency for me. The digital parts are just there to store tasks until I add them to the treeware notebook. Writing things down and crossing them off gives a sense of satisfaction that checking off a digital box doesn’t. And the physical act of flipping over a 25-minute timer helps me focus in a way that a timer on my phone doesn’t. It’s simple. Many productivity methods, like GTD IMO, focus on the method instead of the result. Often, they’re so intricate and rigid that they fail to reflect the messy reality of most peoples’ work lives. My cobbled together method may not look pretty or win any awards, but it doesn’t have to. It only has to help me get stuff done. Does this sound like your productivity method? Did you get OmniFocus to work for you? (If you did, I’d like to know how.) Let me know in the comments. I’ve always been a fan of the “How I work” posts on curated sites like Lifehacker. And since Lifehacker isn’t likely to knock on my inbox anytime soon, I figured I’d roll my own. Reading about how people in various professions structure their days and design for productivity or creativity has helped me construct my own strategy. My intent is to keep the conversation going on new tools or methods I might try, and to see if my processes may work for you. This will be a short series, starting with tools. Most of my research and writing happens in my home office, on a 13″ MacBook Pro (late 2015) and 27″ Apple Cinema Display. The display has been showing its age lately, with USB and audio problems. Although I suspect the audio problems are mostly due to some awful Plantronics software. A good chunk of my day is spent on the phone, which is where the Plantronics Savi 700 comes in. My desktop is rounded out with a Logitech Performance MX mouse and Apple keyboard. Even though the MBP is on the lighter side, I still need the power adapter and mouse when traveling. I’m actively looking to reduce the amount of stuff I travel with. To that end, I recently got the new iPad Pro 10.5″ with Smart Keyboard and pencil. The iPad Pro with iOS 10 is already excellent, but iOS 11 should greatly improve productivity. After a few months with the new iPad, the battery life is excellent and I’m much happier with the Smart Keyboard than I thought I’d be. The Pencil is basically useless for the kinds of tasks I do, but I haven’t fully integrated it into my processes. I’m still using an iPhone 6s with no plans to upgrade unless something happens to it. I also wear a series 1 Apple Watch, which is mostly just a fitness tracker and timer for whatever’s cooking. My software toolchain is a bit of a mixed bag. Evernote is an essential component. I’m always clipping web pages or saving PDFs. But Evernote’s PDF annotation capabilities are abysmal (and frequently broken), so I supplement it with PDF Expert. I rely on the Microsoft Office suite for content creation. I’ve tried G Suite and found it lacking when it comes to niche Office features I’ve come to count on. Of course, I also use WordPress. For todos and reminders, I use the iCloud Reminders app. (Hey, I don’t judge you.) I’ve run the gauntlet of OmniFocus, Todoist and a dozen others, but Reminders gives me just enough detail without becoming a distraction. It also syncs across all of my devices – and it’s free. Admittedly, digital reminders don’t motivate me to do things. For that, I go analog. A simple notebook and pen for a trivial bullet journal helps me get things done. What am I missing? How does your tooling differ? Let me know in the comments.